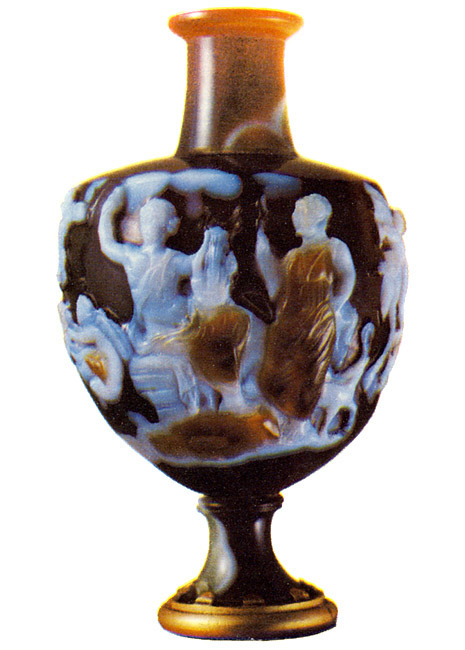 Miniature amphora. Sardonyx. Roman, early 1st century. Allegory of the might of love. Height of body (original part) 5.5 cm. © 1994 Photo, text: O. Neverov, Antichnye kamei, “Iskusstvo-SPB”, SPb, 1994. S. 222—223, cat. 99.